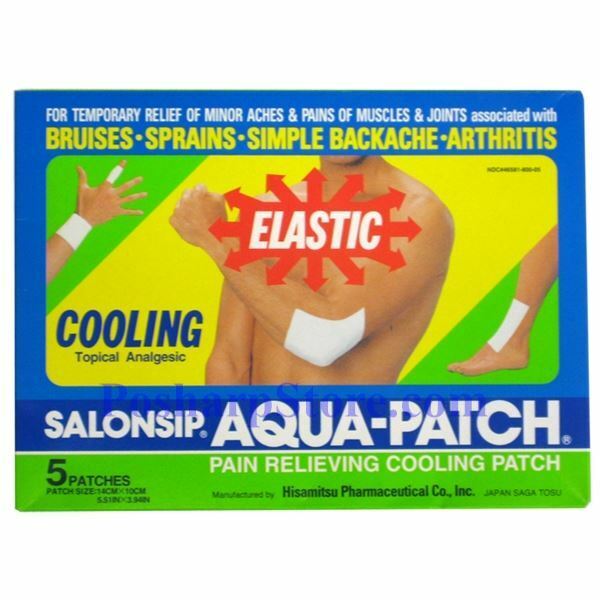 As an external analgesic, this Japanese Hisamitsu Salonpas Hot Capsicum Patch cools the affected area providing welcome relief. Medication penetrates the skin, working swiftly to cool and ease the inflamed area. It tretches easily without pulling at skin or hair, and stays in place when needed, and comes off painlessly when removed. 3.94" x 5.51". The history of medicated patches in Japan reaches back to the 18th century. Hisamitsu inherited this tradition and has worked on improving it since the company was founded in 1847. 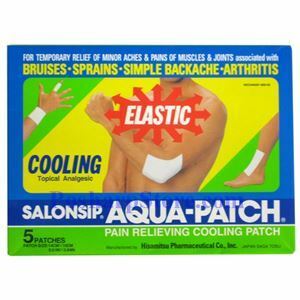 Salonpas was first introduced in 1934 and is now available in over 50 countries worldwide. 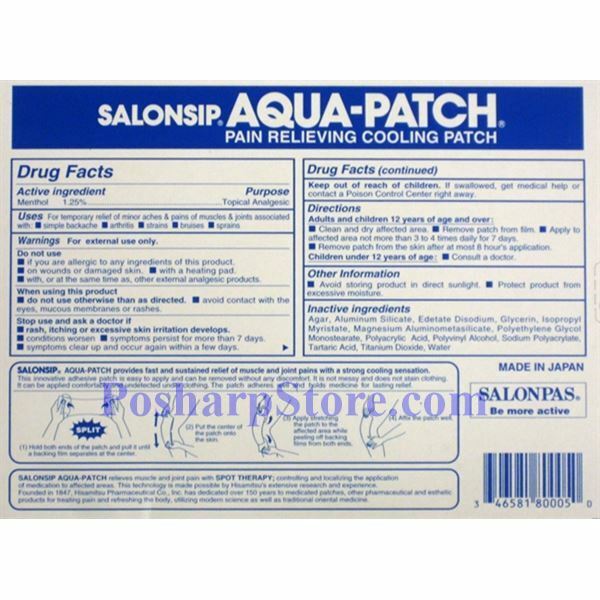 Salonpas launched in the United States in 1987 and has been gaining popularity ever since.